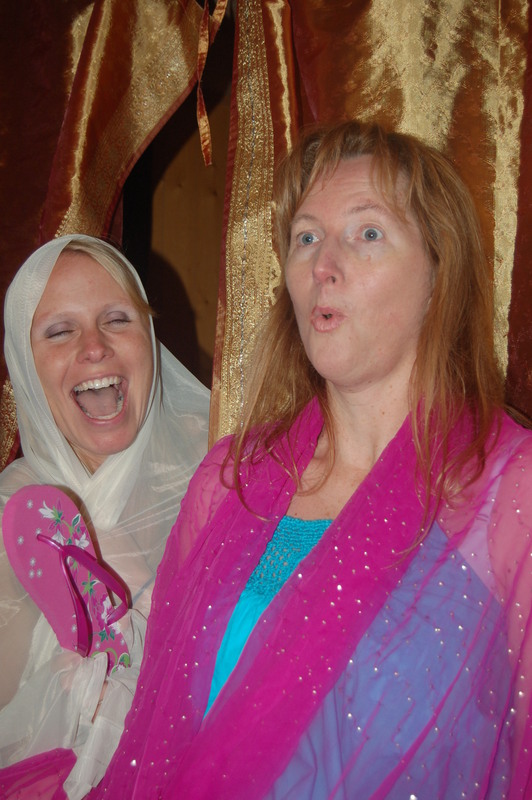 The Widows play is based on a real-life experience that my good friend, Jackie, and I had in a hotel room, backpacking through India together in 2003. The play is very much about boundaries, symbolized on stage by mosquito nets over the beds. As both women begin to feel safer in their surroundings – and with each other – the nets and the boundaries fall away as candid truths are revealed, both about their very different paths through widowhood as well as their completely different hopes for the future. The Widows is an exploration of friendship and the wisdom that can be shared when two people love and respect each other enough to speak the truth, even when it hurts…because the truth often does. 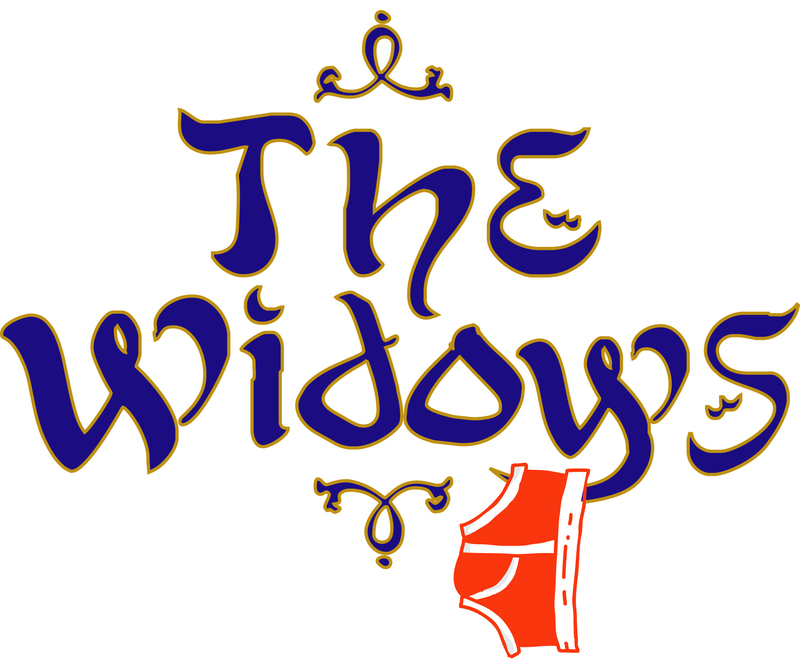 The Widows play was staged for a single performance, directed by Lynne Karey-McKenna at the Abbotsford Fringe Festival back in 2008. The script has gone through multiple revisions since then. In real life, Jackie and I met through tragic circumstances. Her first husband, also a police officer, was killed by a drunk driver coming home from work. I was working in the Records Processing Unit at the time and had taken an incident report from him over the phone, earlier that night. John, also a police officer, was working that night and was at the scene of Jackie’s husband’s crash. Jackie had a two month old baby at the time. 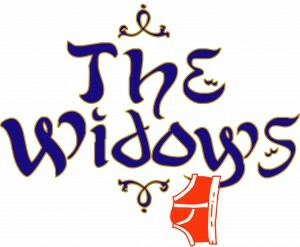 When The Widows script is where it needs to be (I think it’s close! ), the 50-minute play will be staged, followed by a screening of the Whatever Floats Your Boat…Perspectives on Motherhood documentary (2006) and then a facilitated discussion will be held. Since both the play and the film discuss in depth the ‘to be or not to be…a Mom?’ decision, it makes sense to pair them together for a unique performance experience. The motherhood choice is one that many women today struggle with partly because they have a choice. For many women, gone are the days when motherhood is a must. But with choice comes responsibility…and both the play and the film delve into this rather touchy subject matter with courage and candour. And on the subject of boundaries, Whatever Floats Your Boat deals with them, too. For when it comes to speaking candidly, one person’s truth can threaten to sink another person’s ship. But I am learning, over and over again, that at the end of the day, we are the ones responsible for our own thoughts, feelings and actions. No one else can sink our ship – or even just rock our boat a little – unless we let them. You can view the Whatever Floats Your Boat…Perspectives on Motherhood documentary on-line. Both Jackie and Theresa are in the film. Maryanne Pope is the author of A Widow’s Awakening and the playwright of Saviour. She is the CEO of Pink Gazelle Productions and the Chair of the John Petropoulos Memorial Fund. If you would like to receive Maryanne’s weekly blog, please sign up here.